When the Academy announced the nominations for Best Actor almost a month ago, many were hoping that Duvall would snag one for his role in this film, Get Low. In it he plays a tormented man, held back by a secret he has kept for over 40 years. His very soul seems to stand in the balance, and the type of performance it would require from him, as well as the eccentric character he plays, seemed to be necessary and sufficient for Oscar gold. At that time, I had not seen it, and as a result I was very skeptical of this type of buzz; after all, the five nominees (Firth, Eisenberg, Franco, Bardem, and Bridges) all deserved their place. However, Duvall gives one of his greatest performances and reveals one of his most interesting characters ever. And that alone is worth the price of a rental. An old, bedraggled, poorly shaven hermit wanders into the town church (c. 1930’s?) and asks the priest for a funeral. He simply declares he wants to “get low.” The priest won’t oblige him so he heads next door to the failing funeral home, where they are more than willing to meet his requests. Here he meets Bill Murray’s Frank Quinn, the desperate yet affable owner of this ailing establishment. Customers seem strangely hard to come by, especially for a business with plenty of potential customers, so when the local madman comes by with a wad of cash, all propriety falls to the wayside. His partner, Buddy (Lucas Black gives a great supporting performance here), doesn’t want to take advantage of the man, and feels exploitative, but Murray sways him back. The proposal is simple: Felix Bush, the local hermit, would like to throw a funeral party. He wants everyone in four counties to come who has a story to share, something they’ve heard about him growing up. Eventually, he takes stock of the situation, realizing that the event will be filled with lackluster stories built off of gossip and rumors. He wants the true story to be told. You see, Felix has kept a secret for the last 40 years, and he wants to confess his greatest sin on the brink of death so that he can claim penance and ask for forgiveness. He thinks that confessions are a selfish act that draws attention to the crime, and he chose to suffer for most of his life so that he could know that he made up for it. Unfortunately for the film, that secret is rather simple. Felix has kept it locked up inside himself so long, that we take part in his audience, only imagining that he must have killed someone he loved; this is the only possible crime that could elicit such guilt. One night when Mattie is visiting Felix, she leaves feeling all to jilted after noticing her sister’s picture on the wall. She had heard that her sister had been involved in an affair just before she and her husband were killed and their house burned to the ground. She naturally assumes that Felix must have been responsible for this. But the crime he committed was having the affair, not killing anyone. He feels responsible for her death, as he was the other man, but he cannot be held to that standard. So when he reveals this, we feel kind of let down. This is the secret? What the hell? Throughout Felix’s journey, as he roams the countryside, trying to convince people to attend his funeral, he changes into a new kind of man. He sees the way people perceive him, and he plays along with their preconceived notions. He acts the part. Felix felt he was becoming the madman, and seeing these people assured him that he was fine. He had value. He could never be defined by his sin. Duvall’s performance, as I said, is the best he’s given in years. He won’t win the Oscar (the last time he won was for Tender Mercies, so he’ll end up in that esteemed book of people who deserve more awards than they’ve won), but it’s nice to see an actor that refuses to settle down and find solace in tired performances. Bill Murray is just brilliant, his best role since 1998’s Rushmore, and the repartee between he and Duvall is simply outstanding. 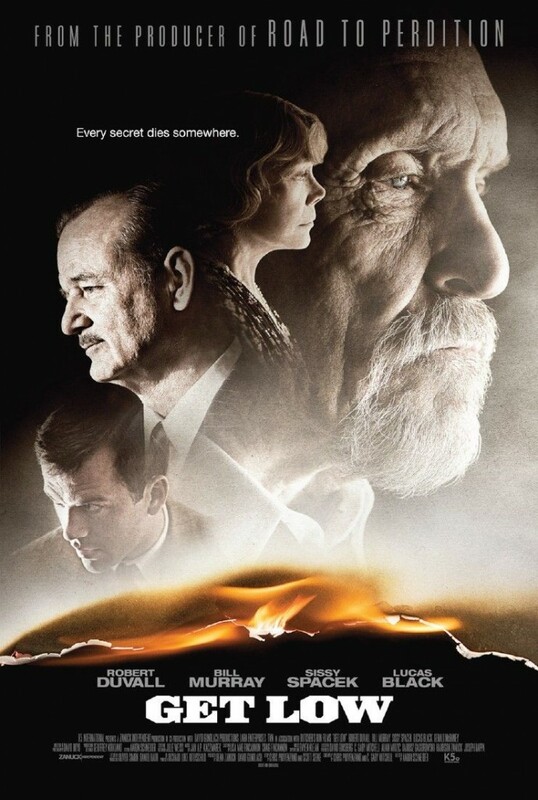 The fusion of Bill Murray’s mildly shocked, but easy-going tone, and Robert Duvall’s folk tale outlandish caricature forms a great comedic team; Duvall feeds Murray a straight line, and he responds with a zinger. Perhaps my brief disappointment with the end (which is still made up for by the transformation of Felix) can be resolved. The point of the film could be to assure us that our sins are never as great as they seem to us. The act of confession is simply a coming to terms with our own shortcomings in a verbal way, and Duvall’s refusal to speak to anyone for 40 years about it meant that he lost that part of his life. Had he told someone, they would have assured him that it was not worth a quarantine. That’s a message to take away from this film. Don’t sequester yourself from the world for fear that you are undeserving of it. Understand that we all have flaws, we all have regrets, but it is in moving past them and knowing each other that reach can reach the fullness of our humanity. Learn from Felix, and tell someone now. Don’t wait the rest of your life. This entry was posted in Reviews and tagged Bill Murray, Get Low, Robert Duvall. Bookmark the permalink. Outstanding review – gotta see it now! !